Fisher Sand & Gravel using a Cat 996M wheel loader to load borrow material for new lane construction. When it comes to road construction, engineers and construction crews must be prepared for anything, including the possibility that the road will be there one day and gone the next. 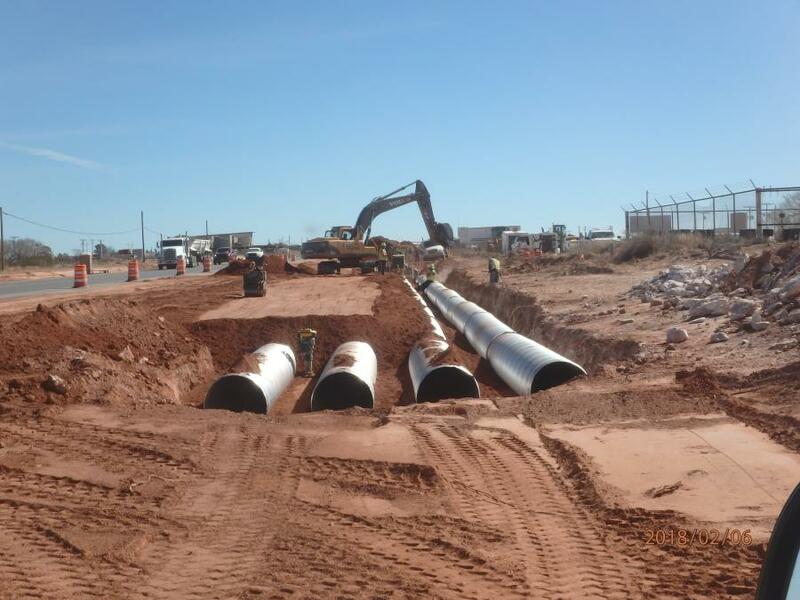 Fortunately, on U.S. 82 in Eddy and Lea Counties in New Mexico, the discovery of sinkholes came while they were still in their development phase. The road project covers 31 miles of pavement rehabilitation with some reconstruction and widening — including acceleration and deceleration lanes. 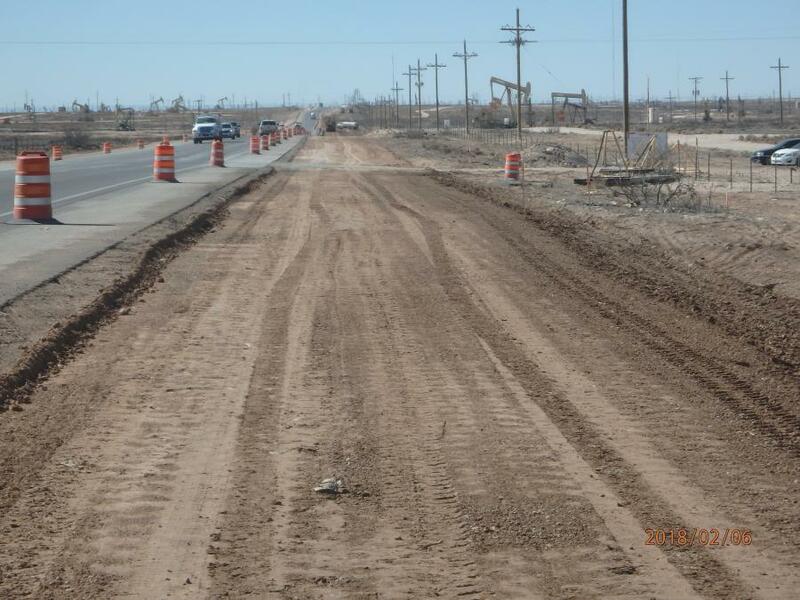 The project runs from Artesia eastward to the U.S. 82/529 junction. Crews began work in June 2017 with a planned completion date of February 2019. The 31-mi. stretch is Phase 1 of improvements along U.S. 82 and cost $58 million in federal and state funds. Fisher Sand & Gravel of Placitas, N.M., is the prime contractor. Safety was biggest catalyst for this high-volume corridor and upon completion of the road widening, the speed limit will increase from 65 to 70 mph. As mentioned, the project has had its share of challenges. Local traffic has had to adjust to lane drops, closed shoulders, narrowed driving lanes and unmanned traffic signals. The wide-load oil fuel traffic has been particularly arduous. The contractor also has run into utility issues, with upwards of 40 utility companies needing to relocate their lines. The biggest unknown in the U.S. 82 rehabilitation project was the discovery of sinkholes along the route. Crews discovered two developing sinkholes 500-ft. in diameter (500 linear ft. of travel lane) that were not anticipated. According to the U.S. Geological Survey's Water Science School (2016), a sinkhole is an area of ground that has no natural external surface drainage — when it rains, all of the water stays inside the sinkhole and typically drains into the subsurface. 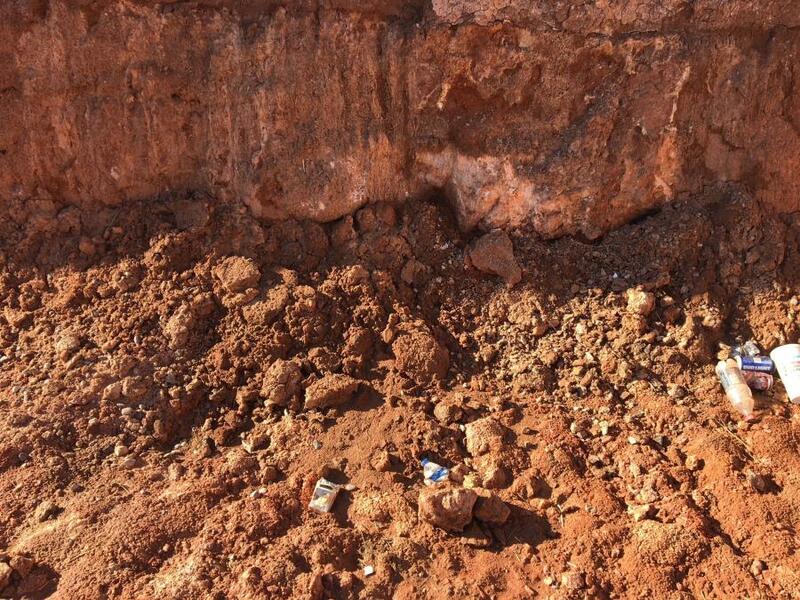 Sinkholes can vary from a few feet to hundreds of acres and from less than 1 to more than 100 feet deep. Some are shaped like shallow bowls or saucers whereas others have vertical walls; some hold water and form natural ponds. NMDOT is still designing a resolution for the two sinkholes that will allow them to study the formation in the future. 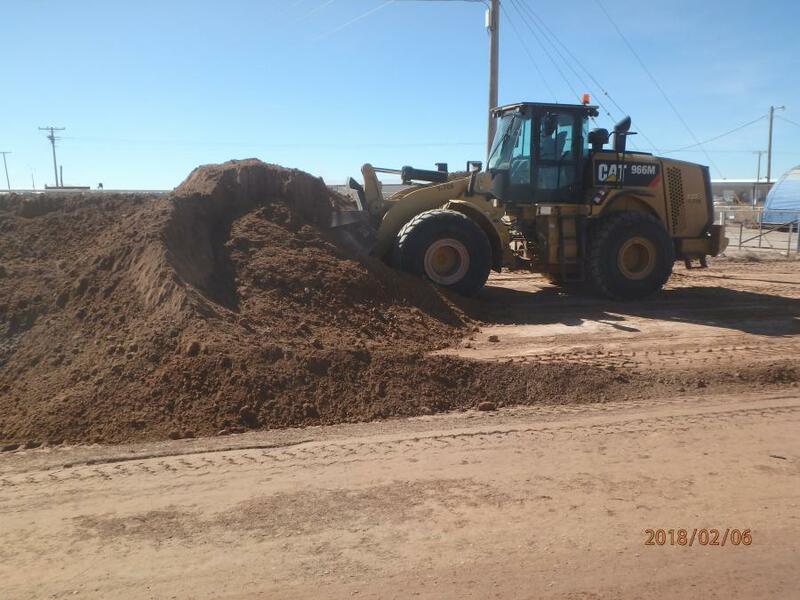 Most likely, the process will include excavating the entire roadway section and lining it with a geotextile fabric that will hold the fine aggregate placed there. The design will provide an avenue for water to remove itself from the roadway and prevent further water collection. With the sinkhole remediation in the works, Fisher has proceeded with roadway excavation, which will total 281,000 cu. yds. (215,000 cu m). They will lay 327,000 tons (296,000 t) of hot mix asphalt; 2,040 cu. yds. (1,560 cu m) of concrete; and 350 cu. yds. (268 cu m) of flowable fill. 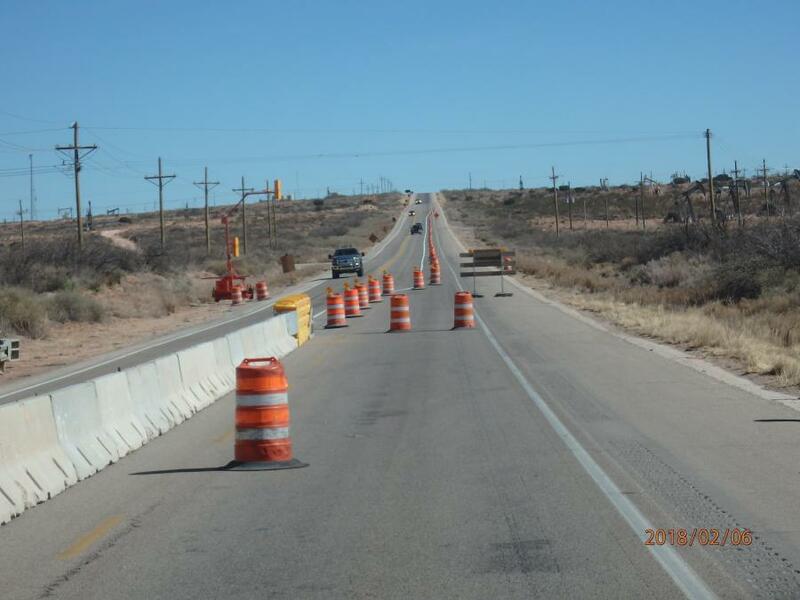 Bixby Electric of Albuquerque will be installing a weigh-in-motion system, which is designed to capture and record vehicle weights as they pass over the measurement site. They also will be placing a permanent radar feedback sign along U.S. 82 to slow motorists down by alerting them of their speed. Phase 2 of the project is in the planning stages, with an estimated cost of $63 million. No start date has been set as NMDOT is currently acquiring the needed funding.